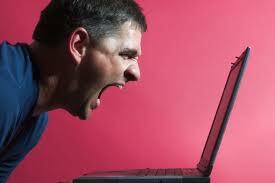 When any individual fails to purchase any desired product or service, he becomes frustrated. In order to reduce frustration people use different defense mechanisms. Some days before I was also frustrated when I failed to buy a Channel Five perfume, that was beyond my ability. So to reduce that frustration, I came up with different defense mechanisms. Autism: I always prefer branded cosmetics and perfumes. That’s why I had a dream to buy a Channel Five perfume and I also thought it would reflect my personality. So I always dreamed to buy that perfume. Aggression: To buy the perfume when I went to the shop and asked the price of that perfume, I got to know that it’s price is very high, than I start bargaining with the sales person aggressively, in a loud voice to reduce the price of that perfume. Regression: When I failed to reduce the price through bargaining, I angrily left the shop without saying anything, which was a very childish behavior for me. Projection: When I came out of the shop, I started to blame that salesperson, by thinking that he was asking a very high price, which is not the actual price of that perfume and that is why I couldn’t buy the perfume. Rationalization: But when I came back home, I thought that it is not that much essential to buy such a high priced perfume at this moment, as I have no income of my own. Withdrawal: After rational thinking, I simply gave up the thought of buying that perfume. And thus I withdraw the product. The frustrating situation through which, I gone through can occur to any other consumer. And it can influence the individuals purchase decision. The consumers can switch to other brand of products, as the substitute of that particular product for which he felt frustrated. The marketers also utilize these situations by showing ads that helps to reduce the individual’s frustration as well as offering similar or substitute product, so that the consumers reduce their frustration by buying their products. This also happened to me. When I couldn’t buy that perfume, I stopped thinking about it. But my need for buying a perfume switch me to another brand of perfume which has comparatively low price. Thus the frustration of the consumers can play an important role in the sale of new and different products. So the marketers always keep eye on consumers frustrating situations to create new ads to sale their products.